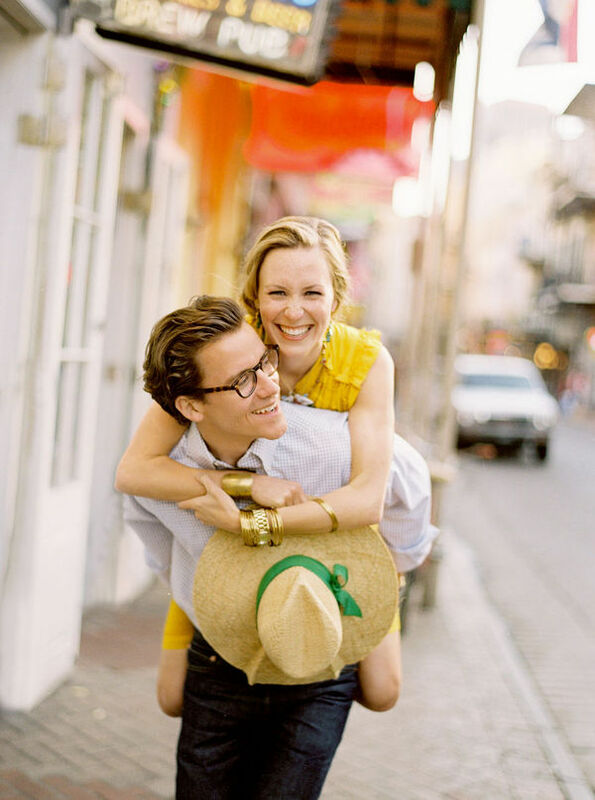 I found this adorable honeymoon photo shoot on the Style Me Pretty blog. 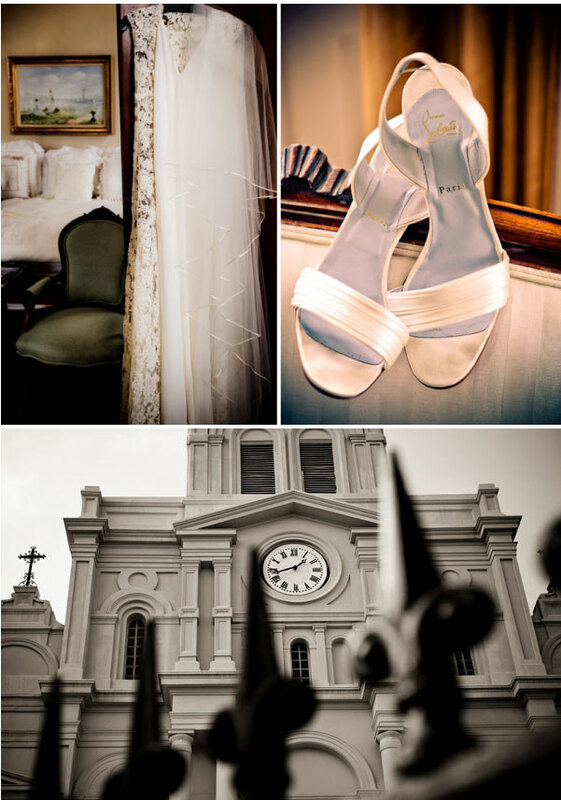 Photographed by Jose Villa and designed by Joy Thigpen, this N’awlins post is one of my favorites! To see all of the photos, visit their gallery by clicking here. This wedding was nothing short of stunning! 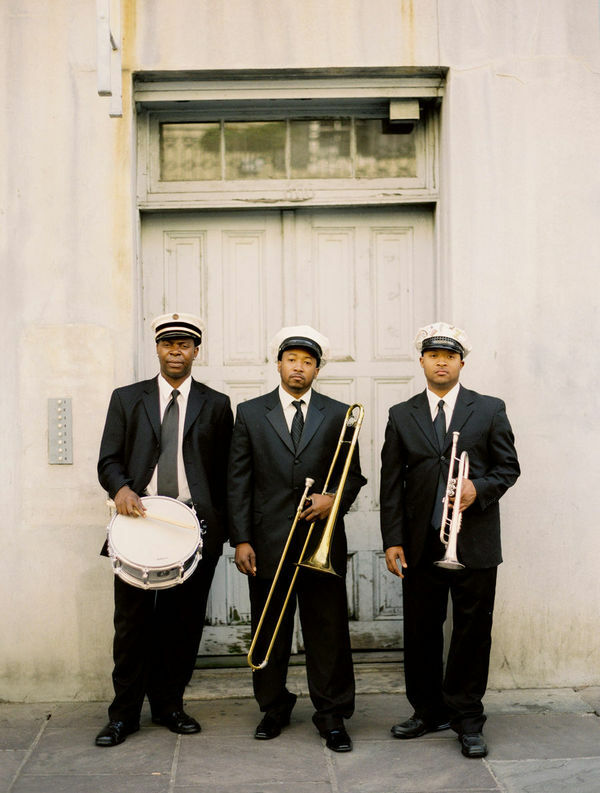 It included several live jazz band, a horse drawn carriage and a cajun feast. 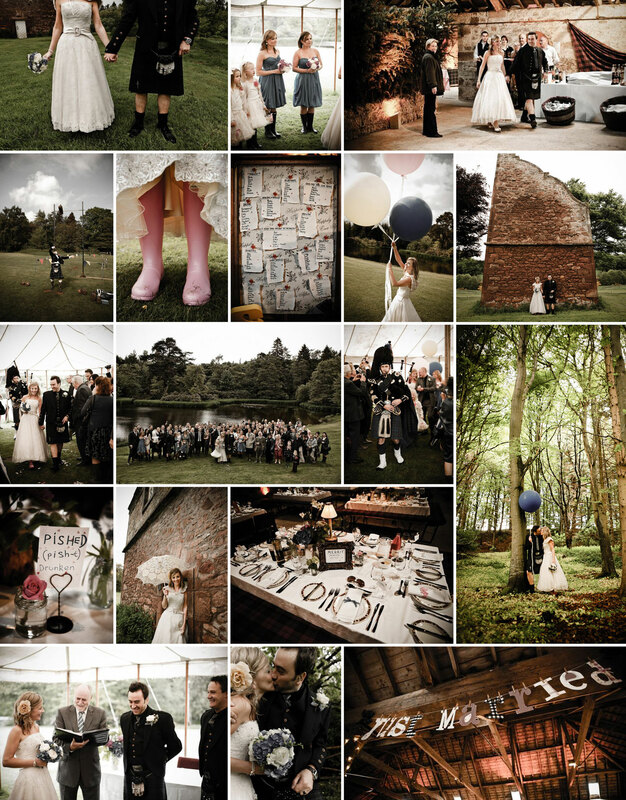 Check out these gorgeous images by Zoeica Images. 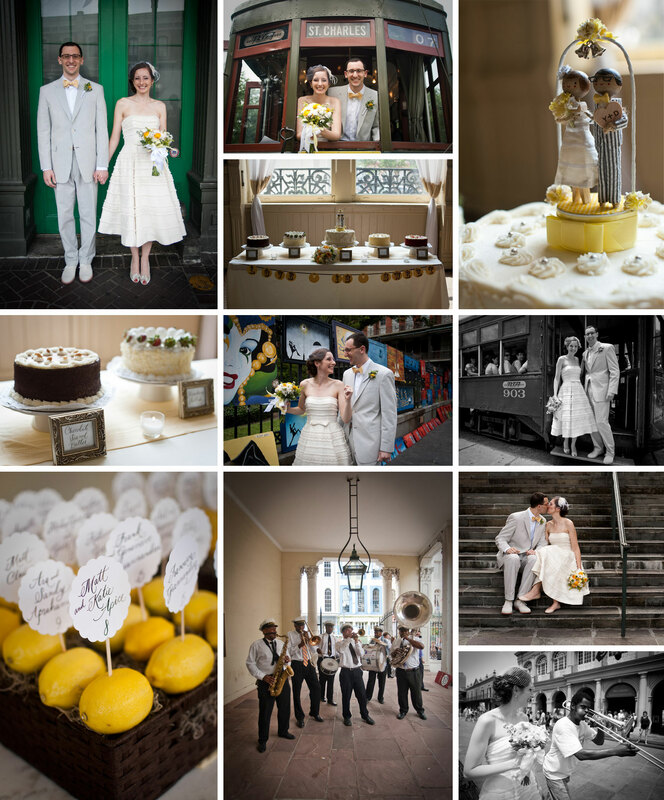 The perfect combination of historic beauty and fun-filled whimsy, this New Orleans wedding is an absolute charmer. 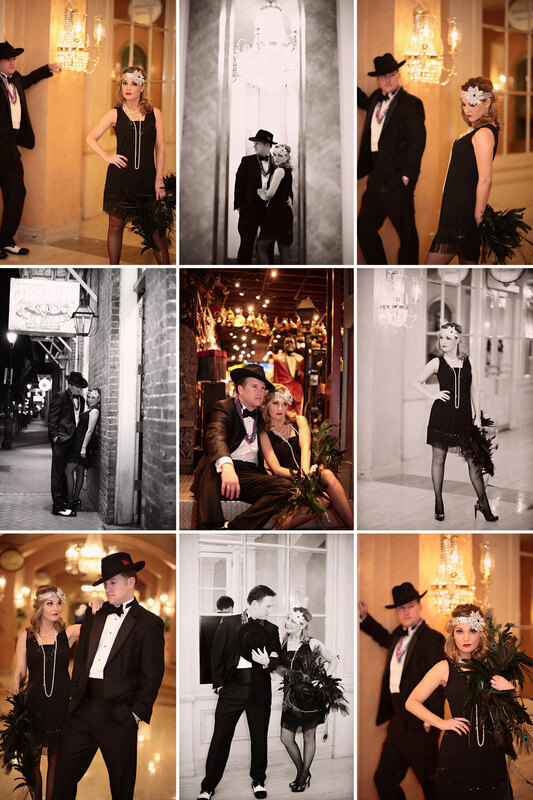 This New Orleans couple picked the perfect time to get their engagement photos taken! With Mardi Gras just about to get into full swing, they had photographer Kristin Vining use the colorful floats as the perfect backdrop. 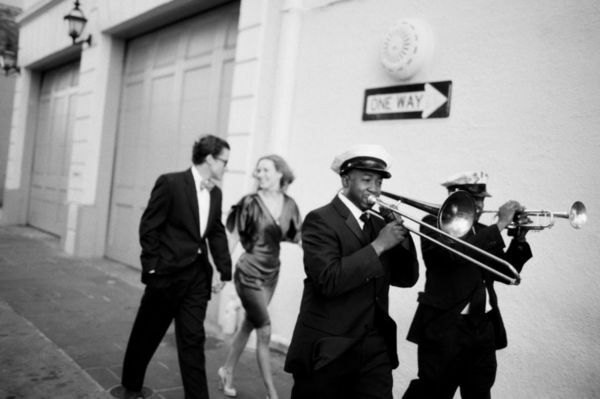 And while you’re in New Orleans, you can’t avoid the vintage/historic feel of the city. 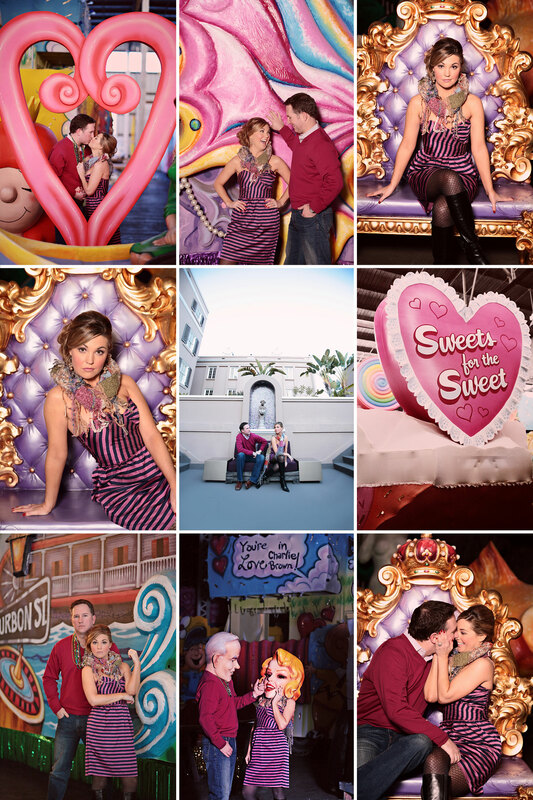 Which is why they also chose to do a fun little retro shoot as well! …and one just for fun! New Orleans is overflowing with rich cultural flare. Which is why, for our 3 year anniversary, my husband I are heading down to the Big Easy. I’ll be sure to document the trip and show you all the fun things we did, but until then, I thought it would be fitting to do a few N’awlins themed posts. Real Weddings: Be bold. Be fearless. Be colorful. 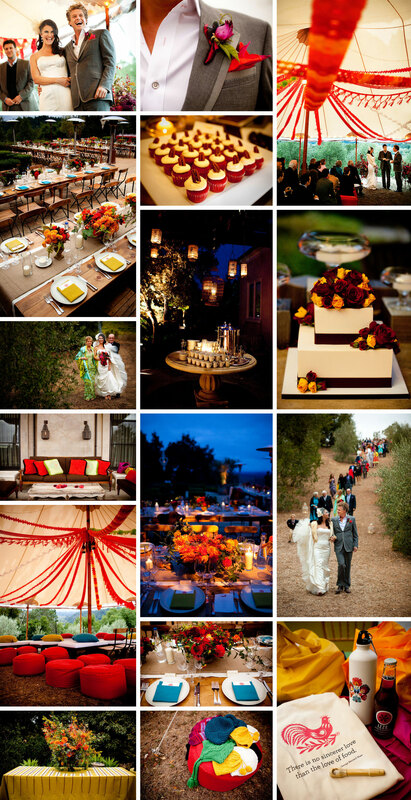 This vibrant wedding, featured on the Style Me Pretty blog, obviously caught my eye. I mean, just look at it! 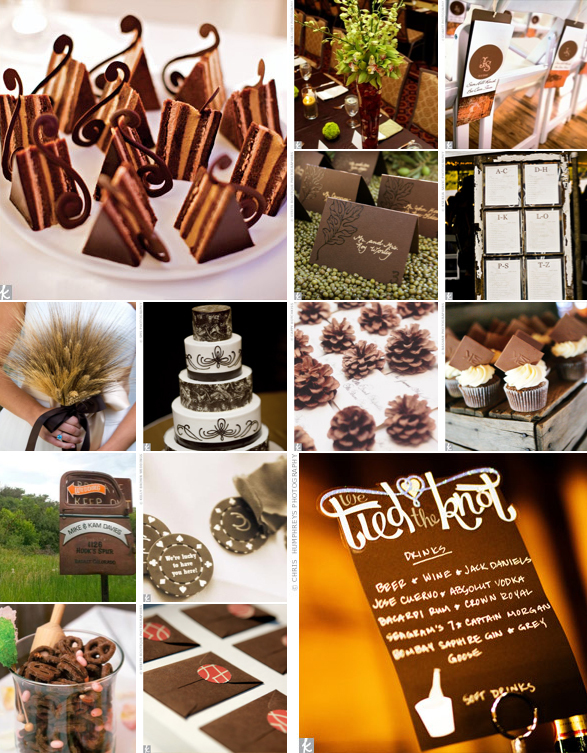 The design team from Alison Events certainly embraced the motto “Be bold. Be fearless. Be colorful.” and photographer Ben Chrisman did a remarkable job of capturing each eye popping color! You can check out the rest of the photos by clicking here. I recently found this list on theKnot.com and thought it’s definitely something that all you brides should know about your wedding stationery! 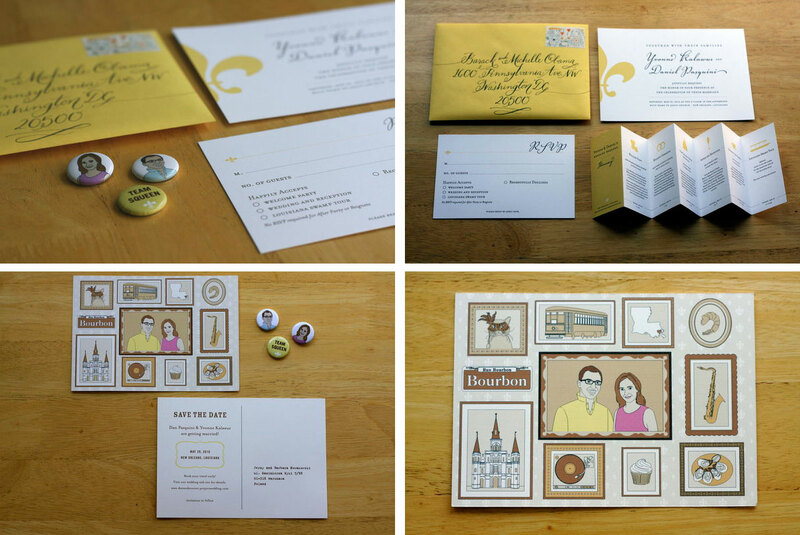 While it’s good to give your stationery a personal element (like your venue’s amazing chandelier), less is more. “We’ve had brides who are adamant that we include the lace pattern of their dress, the architectural elements of their venue, and a motif based on their floral arrangements all in the same design,” says Matt McNary at Hammerpress in Kansas City, MO. 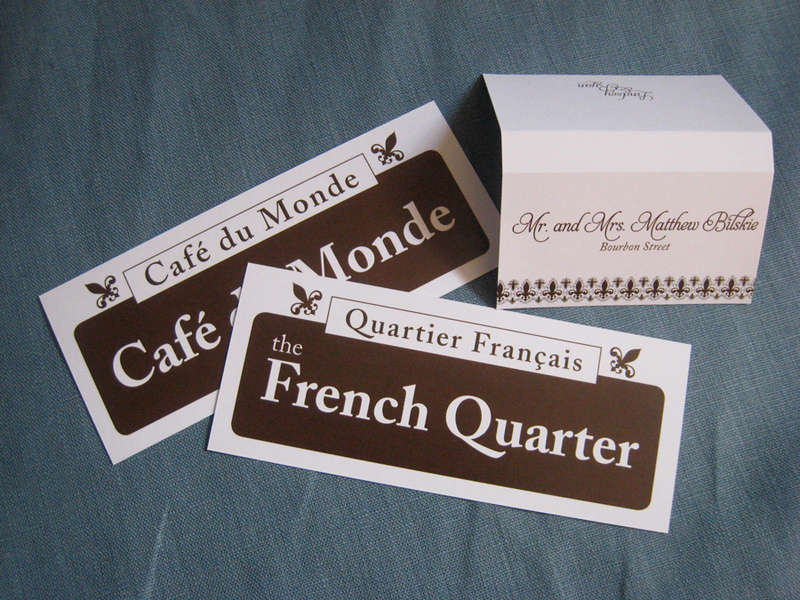 Instead, work with your stationer to choose one. Ask your grammatically inclined friends to look over the invitation proof and read it carefully. You’d be surprised at what you could miss. 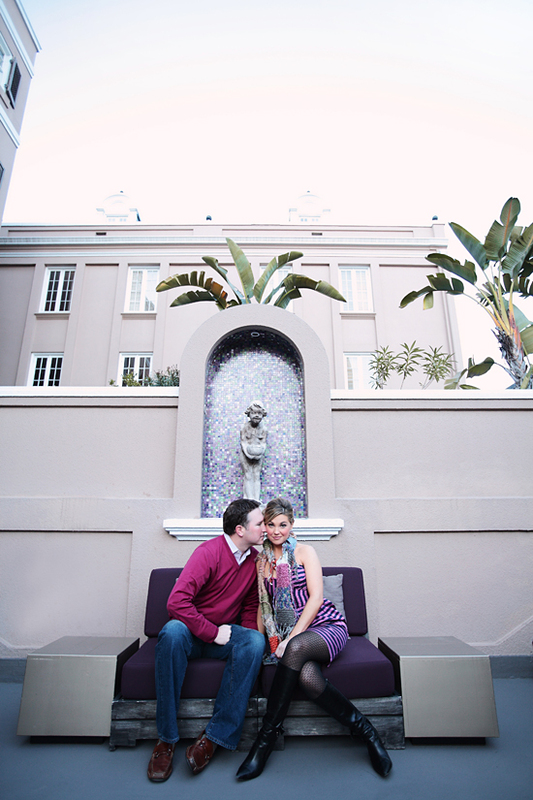 Erika Firm at Delphine in Rancho Sante Fe, CA, told us about a bride who accidentally spelled her groom’s name wrong! The invitations printed and shipped out to guests (even though the bride and groom and both their parents reviewed and approved the proof). Take a note from copy editors and read from right to left so you don’t accidentally gloss over something that’s wrong. We’re all about making invites pop with bold and bright colors (think: a yellow chevron pattern or pink dahlia motif), but don’t get carried away. Always balance bright colors with something neutral, and make sure the text is visible. Kristy Rice of Momental Designs in Scranton, PA, suggests a palette of three to five colors, with one or two being neutral, such as ivory, white, gold, or tan. Addressing the envelopes takes time, and many stationers offer the service at little or no charge. If you decide to do it yourself, don’t do it all in one sitting. Give yourself plenty of time to avoid making any mistakes. Give guests too much time to RSVP, and they’ll get lost. Set the deadline no more than three or four weeks after they get the invitation. “Any more than that and they’ll forget they even have an event to respond to,” says Rice. Keep in mind that you don’t need an invitation for every person, so take a look at your guest list and figure out how many houses you’ll be sending invites to before you give your stationer any numbers. It can cut your order in half. On the flip side, you don’t want to be stuck having to order more. 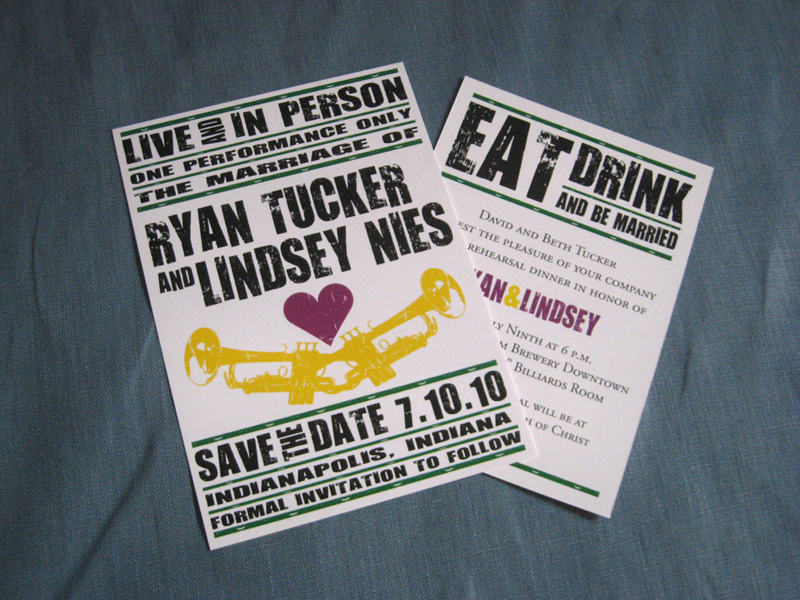 Order at least 25 percent extra to ensure you have enough for late additions, lost invites, and keepsakes. 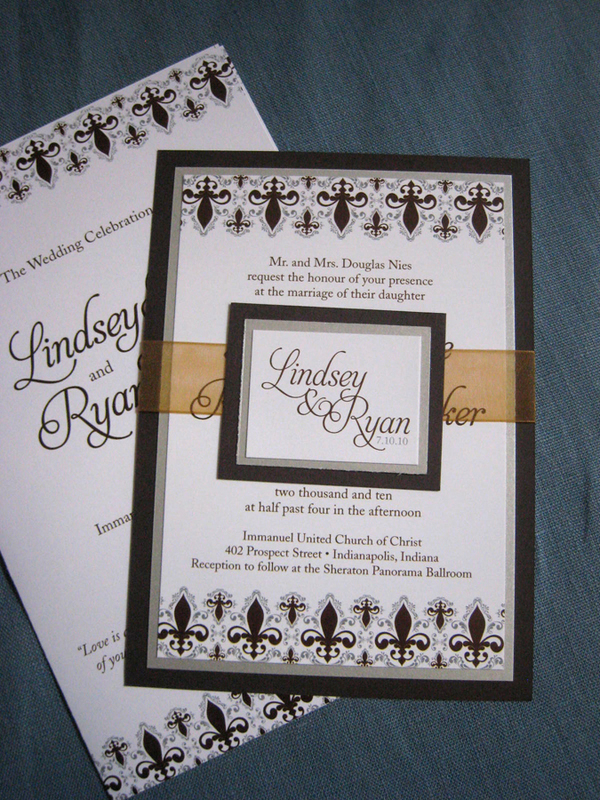 “It is very expensive to go back to print with letterpress, engraving, or offset printing,” say Kristen Armstrong and Cheree Berry of Cheree Berry Paper in St. Louis, MO. And ask for extra envelopes too, in case of any addressing mistakes. It’s an obvious one but an often overlooked detail. “Seriously, it is near impossible to steam open an envelope once it has been sealed,” Armstrong and Berry say. We know you’re excited to order the invites and check another thing off your list, but weighing it at your local post office first will save you the headache later. 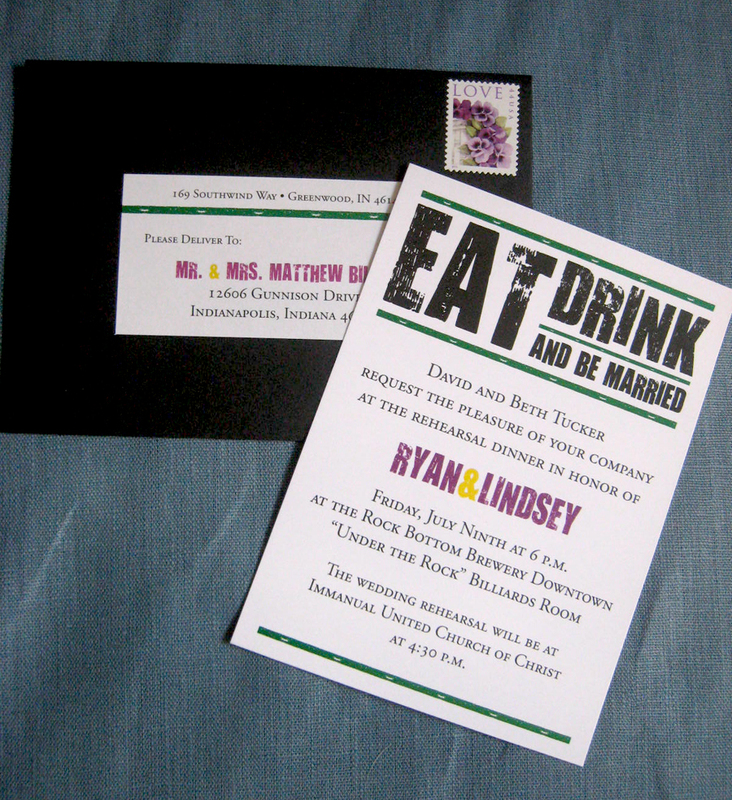 “No one wants to deal with the hassle of invitations returned because of insufficient postage,” says Rice. 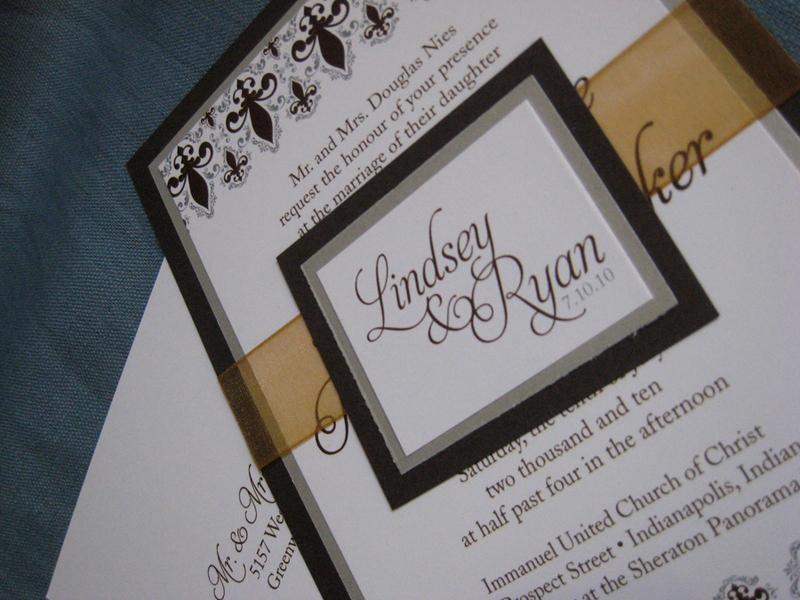 You should book your calligrapher when you book your stationer so the two can work together from the start. Hire too late, and you may have to pay a rush fee. 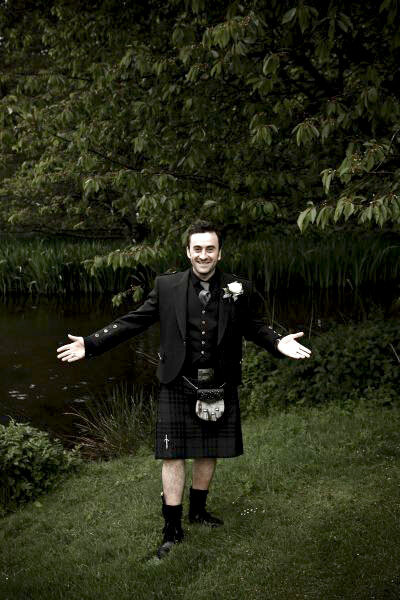 Now, not ever guy is going to look good in a skirt, but this Scottish groom definitely pulled it off! If you’ve considered honoring your roots, go for it. Not only does it pay tribute to your heritage, but it creates one memorable day. I found this adorable Scottish couple on the Style Me Pretty blog. If you would like to see the rest of their photos, taken by Archibald Photography, visit their wedding gallery. Yes, weddings are expensive. Yes, couples should be on the lookout for budget saving tips. Yes, weddings are expensive – I know. Host a soft bar, in which guests can order champagne, beer and wine – or offer both a soft bar and cash bar (that’s what we did for our wedding). Find a reception site that allows you to bring in your own alcohol; you will save serious cash, and anything unopened can be returned for a full refund. Cut down the size of your guest list – the only significant way to reduce costs in the first place.